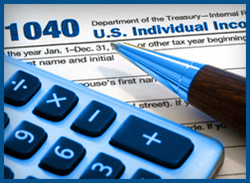 U.S. citizens and residents living in Israel are generally required, by the Internal Revenue Service and Social Security Administration, to file annual income tax returns. This is especially important since non-filing may lead to a denial of a U.S. passport renewal application and potential problems with the U.S. Social Security Administration. In addition, filing annual returns is all the more imperative in light of the U.S. - Israel income tax treaty, which became effective on January 1, 1995 and which includes a provision for the exchange of information between the U.S. and Israel with respect to each country's residents.